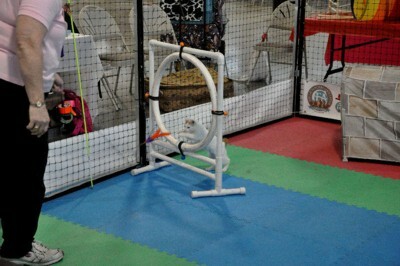 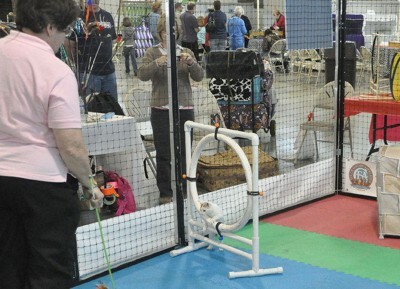 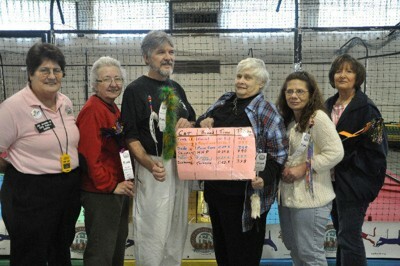 The Coastal Paws show held in Raleigh, NC on March 19-20, 2010 featured an Agility ring. 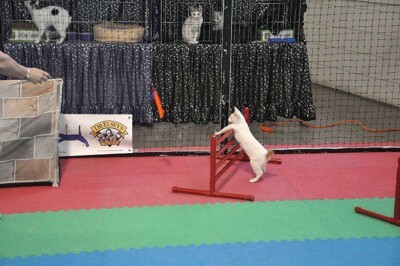 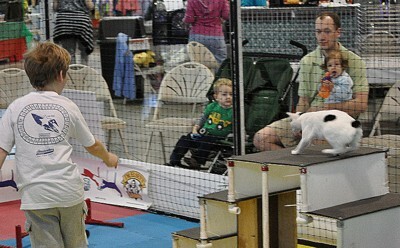 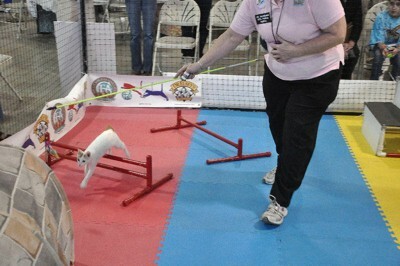 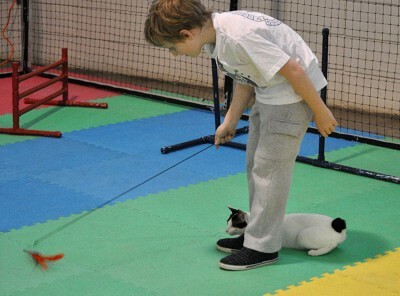 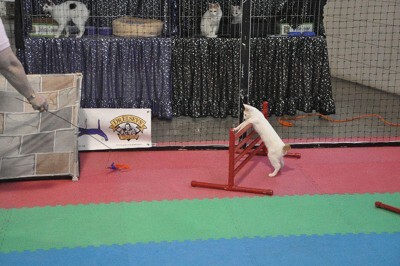 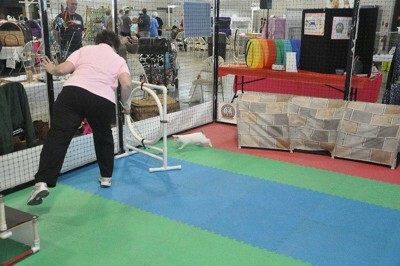 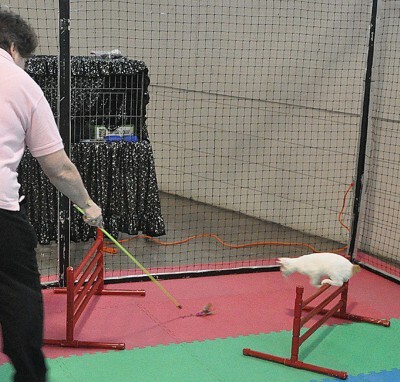 Not only were Japanese Bobtails in competition, but they also "demonstrated" how to run with the Ringmaster and with spectators who wanted to give Agility a try. 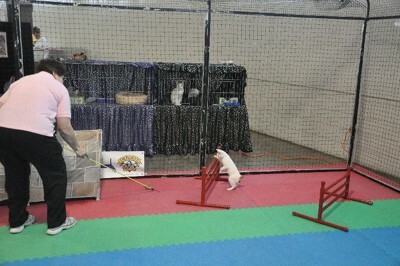 Check out the slide show to see all the fun!